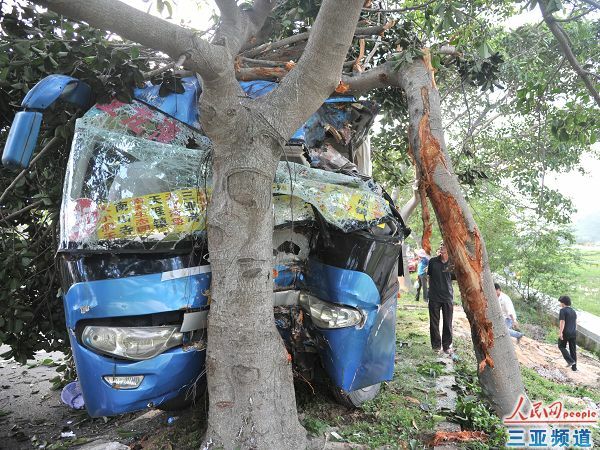 6 people incluing 5 passengers and the bus driver were injured after a bus crashed into a roadside tree in Liupan Village in Yalong Bay, Sanya, on 24th April, reports news.hainan.net. 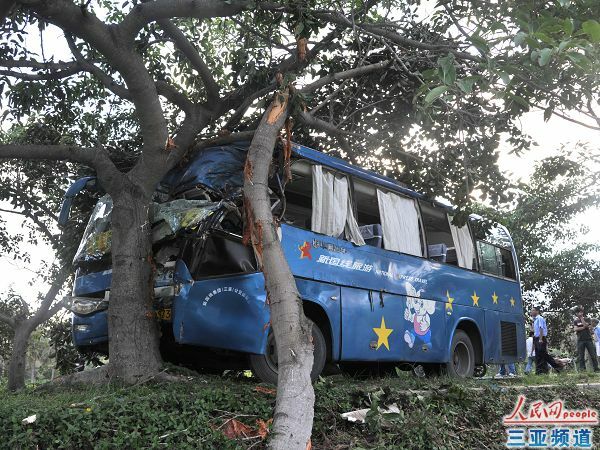 At 17:45pm, Sanya Fire Department Command Center received a help call that Yanglong Bay- bound NO.25 bus hit a roadside tree and several passengers were stuck in the bus. Then Sanya Fire Department Command Center immediately dispatched two fire engines and more than ten firemen to rescue. The 5 passengers were rescued by nearly villagers before the firemen arrived, however, the driver was stuck in the front seat, and not until 18:03pm did the driver was successfully rescued by the firemen and rushed to the hospital.